The Bravo is a fractionated vacuum sterilizer that incorporates both pre-vac (to remove air) and post-vac (to ensure a dry load every time) cycles to ensure the perfect steam penetration for any load. The Bravo offers the perfect blend of speed and capacity. The Bravo is a fractionated vacuum sterilizer that incorporates both pre-vac (to remove air) and post-vac (to ensure a dry load every time) cycles to ensure the perfect steam penetration for any load. 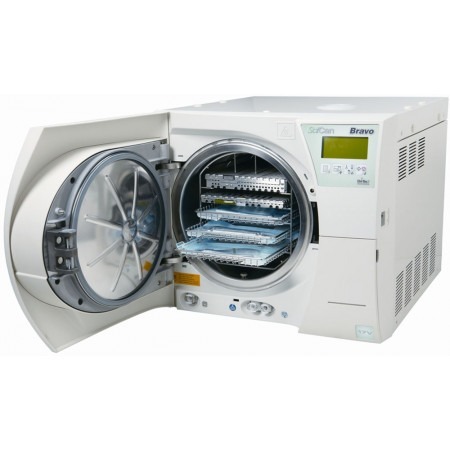 The Bravo offers the perfect blend of speed and capacity with our total cycle times, including drying, set at about half the time as other chamber autoclaves. The SciCan Dri-TecV system ensures a perfectly dry load every time. The Bravo 17V, with a 17 liter chamber, has a large vacuum pump and employs total cycle times, including drying, starting at just 19 minutes. 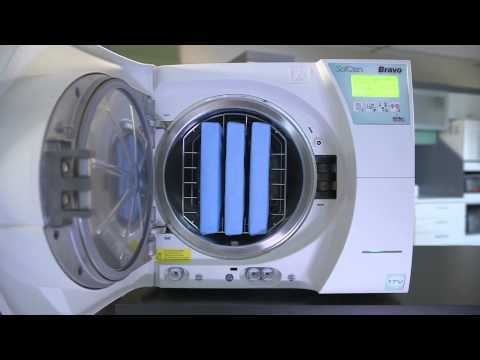 The Bravo 17V is one of the fastest chamber autoclaves on the market. 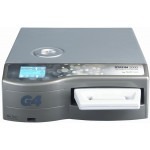 The Bravo 17V comes standard with 5 sterilization trays, increasing load capacity and office efficiency. 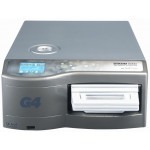 The Bravo 21V, with a 21 liter chamber, is a larger chamber autoclave allowing the sterilization of a 14” cassette. The Bravo 21V continues to employ total cycle times, including drying, starting at just 23 minutes. The Bravo 220V units have a top filling port as well as a front mounted master drain port, and an integrated USB port for data logging. Bravo includes: 5 Instrument Trays, Stainless Steel Rack, Tray Extractor, Container (for adding distilled water), Extra Biological Filter, Silicone Tube (for draining water). 220V units include a Direct-to-Drain kit (01-111775S).